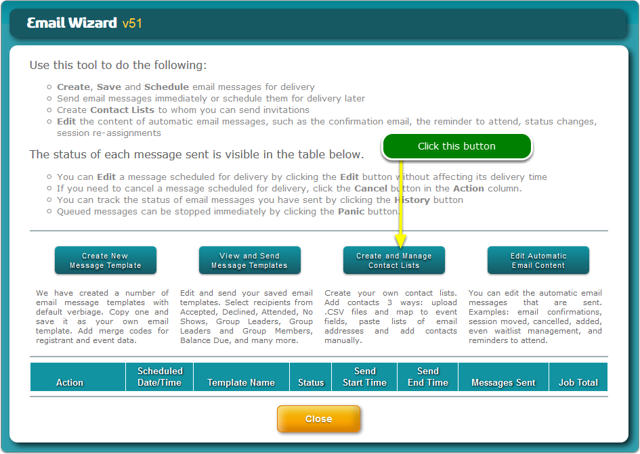 Help Documents - Version 5 Emails: Contact Lists, Invitations, RemindersHow do I Create a Contact List for sending Invitations? You send invitations to a Contact List. 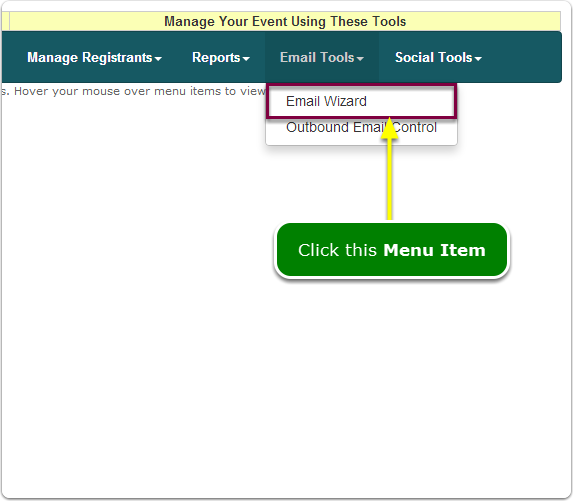 Click the Create and Manage Contact Lists button on the Email Wizard screen. 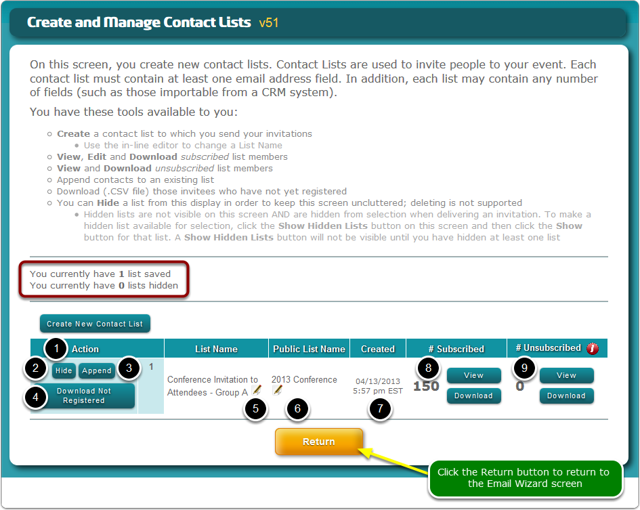 Click the Create New Contact List button. 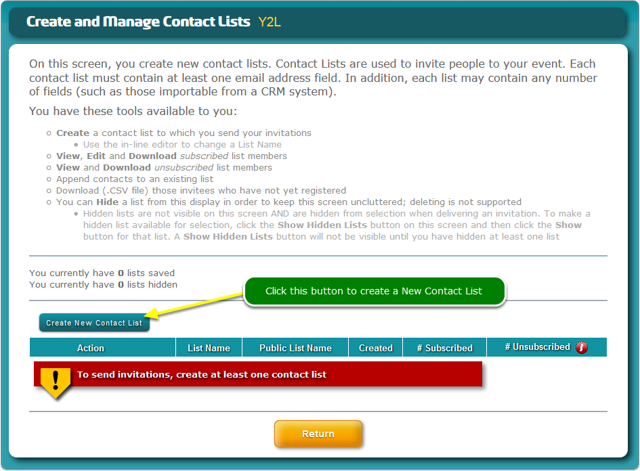 Fill in the contact list details and how you will populate the list with data. 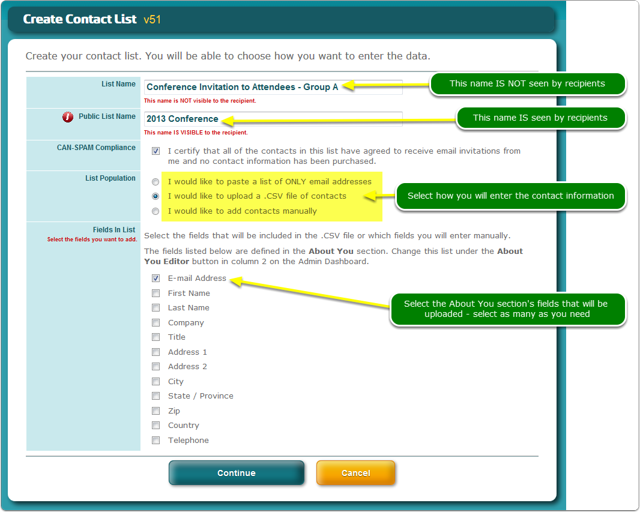 If you upload a .CSV file of contact information, you may elect to pre-populate the registration page when you set up your invitation(s). Click the down arrow in the right column and select the .CSV file field for each of the fields in the About You section (rsvpBOOK Fields). You do not have to match all of the fields. Only the matched fields will be pre-populated. 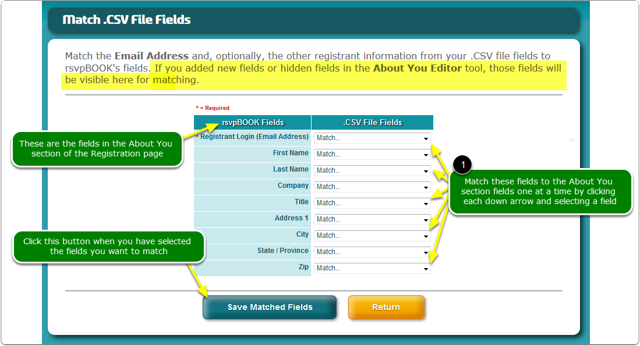 Hidden fields can also be matched to a .CSV file field. Prev: How do I copy my PayPal settings to a new event? Next: How Do I Create an Invitation?